Sparkle in a diamond cut silver box necklace! Each edge of this box chain is cut and glistens as the necklace catches the light. 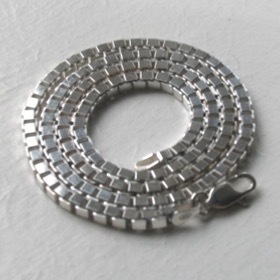 These Italian silver box necklaces are superb quality and it shows. Wear alone as a simple but eye-catching design or use to hang your best pendant and make it into a fabulous necklace. 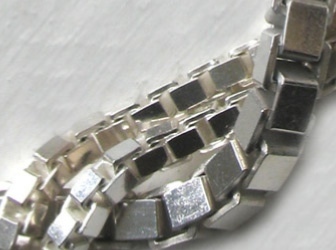 Our box chain necklaces are available in widths 2mm and 3.1mm, lengths 16" to 24"